A Yale-led team has produced one of the highest-resolution maps of dark matter ever created, offering a detailed case for the existence of cold dark matter — sluggish particles that comprise the bulk of matter in the universe. The dark matter map is derived from Hubble Space Telescope Frontier Fields data of a trio of galaxy clusters that act as cosmic magnifying glasses to peer into older, more distant parts of the universe, a phenomenon known as gravitational lensing. Scientists believe dark matter — theorized, unseen particles that neither reflect nor absorb light, but are able to exert gravity — may comprise 80% of the matter in the universe. Dark matter may explain the very nature of how galaxies form and how the universe is structured. Experiments at Yale and elsewhere are attempting to identify the dark matter particle; the leading candidates include axions and neutralinos. 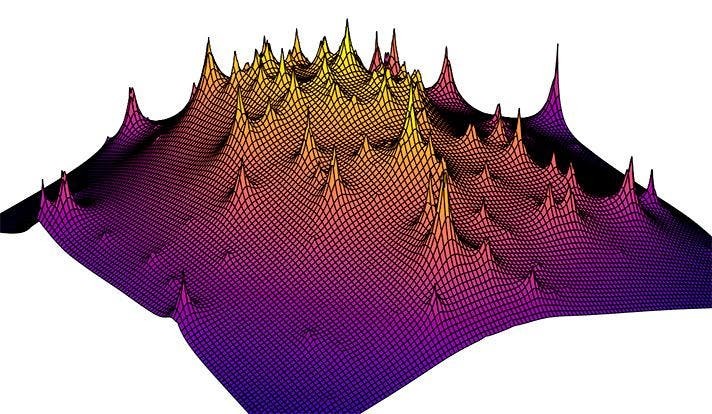 “While we now have a precise cosmic inventory for the amount of dark matter and how it is distributed in the universe, the particle itself remains elusive,” Natarajan said. 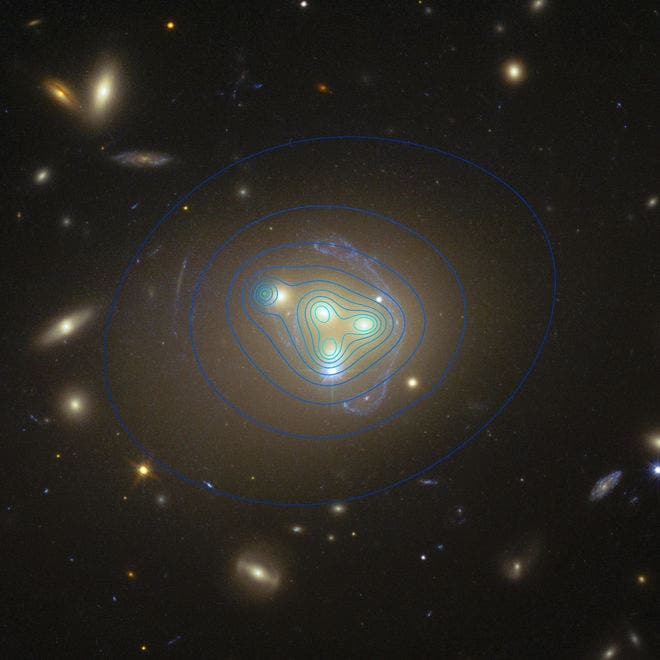 Dark matter particles are thought to provide the unseen mass that is responsible for gravitational lensing, by bending light from distant galaxies. This light bending produces systematic distortions in the shapes of galaxies viewed through the lens. Natarajan’s group decoded the distortions to create the new dark matter map. Significantly, the map closely matches computer simulations of dark matter theoretically predicted by the cold dark matter model; cold dark matter moves slowly compared to the speed of light, while hot dark matter moves faster. This agreement with the standard model is notable given that all of the evidence for dark matter thus far is indirect, said the researchers. The high-resolution simulations used in the study, known as the Illustris suite, mimic structure formation in the universe in the context of current accepted theory. A study detailing the findings appeared Feb. 28 in the journal Monthly Notices of the Royal Astronomical Society. The research was supported in part by grants from the National Science Foundation, the Science and Technology Facilities Council, and NASA via the Space Telescope Institute HST Frontier Fields initiative.